Yesterday, I went shopping to outlet mall for my clothes. In past days, I liked the clothes with a basic design, which are not affected by trends and traditional materials that are used in clothes. Recently, my taste in clothes is getting changed. Like women's clothing, which is heavily influenced by fashion trends, designs and colors are getting changed little bit for men's clothing. 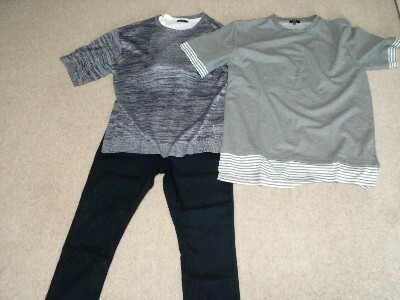 I bought recent designed pants and two shirts which look like youger than my age.